This centre is dedicated to our BEARS and SALMONS. The mission of the Bear River Interpretive Center (the BRIC) is to connect People and Nature through EDUCATION, RESEARCH and CONSERVATION. The need for our continuing work to benefit the bears, the salmons and their habitat is growing in a rapid pace. With your help we can join together in a growing educational and conservational partnership. The BRIC is open to all of you, the local community as well as all the tourists coming to Stewart and Hyder to enjoy the beautys of Nature! 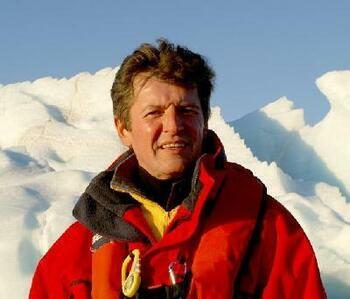 http://mvfram.blogspot.com = Follow Jean-Louis IMBS in the Arctic and in Antarctica where as naturalist he gives lectures on wildlife and climate change. Polar bears are at high risk! See this video on Youtube "Polar bear on thin ice"
appropriate action to address climate change. States of America as parties. on a biennial schedule or otherwise as agreed to by the Parties. in 2009, and in 2008 the parties welcomed the offer of Norway to host such a meeting. strategies and to discuss mechanisms for enhanced implementation of the Agreement. the Native peoples of the north. species -- constitutes the most important threat to polar bear conservation. successful mitigation of climate change. are limited by the magnitude and rate of change in climate and sea ice conditions. are likely to be extirpated from most of their range within this century. Article II of the Agreement on protection of ecosystems of which polar bears are a part. protected areas and land and seascape planning. integrity of habitats critical to polar bear survival. contaminants and climate change is therefore important. to the conservation of polar bears. Industrial development continues to expand northward into areas used by polar bears. recognized the value of Canada’s management experience in Churchill. collaboration with polar bear experts and managers from the other parties. upcoming workshops in November 2009 in Canada and planned in Alaska in 2010.
to conservation and management strategies between the parties. action that address polar bear conservation. The process to provide advice to the parties will involve the following steps. recognized an interest in accomplishing this step in 2009. 2. Parties will review and discuss outline material provided by PBSG. develop further requests to PBSG as needed. should be utilized in polar bear management decisions. carrying out research in support of polar bear conservation. making their management decisions concerning polar bear conservation. encouraged further development of such cooperation. polar bears, and to coordinate and harmonize national monitoring efforts. biennial meeting under the Agreement. schedule or otherwise as agreed to by the Parties. multi-year approach to coordinated implementation of the Agreement. the host of the next meeting informed by the host of the previous meeting.